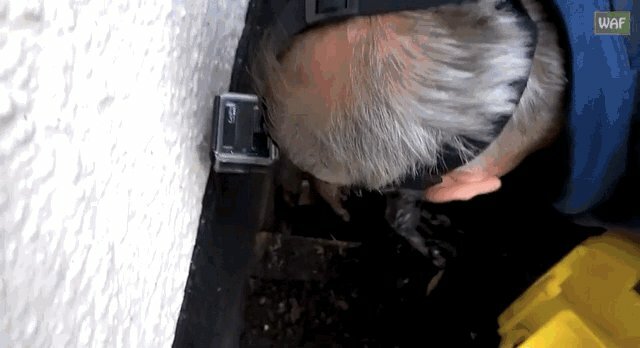 While hedgehogs are considered adorable and squee-worthy - they unfortunately, due to their quills, can find themselves in somewhat sticky situations when it comes to human backyards. 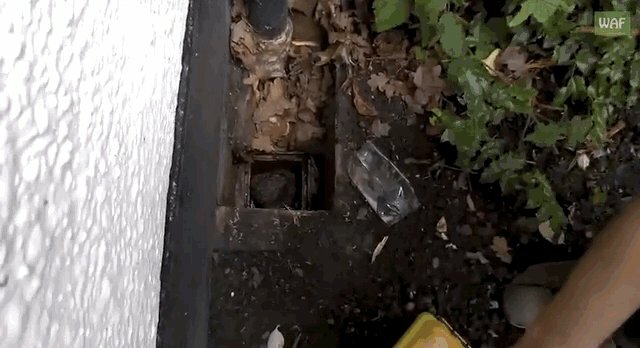 When homeowners stumbled upon a hefty hedgehog stuck in a drainpipe, they called the Wildlife Aid Foundation to come to the rescue. 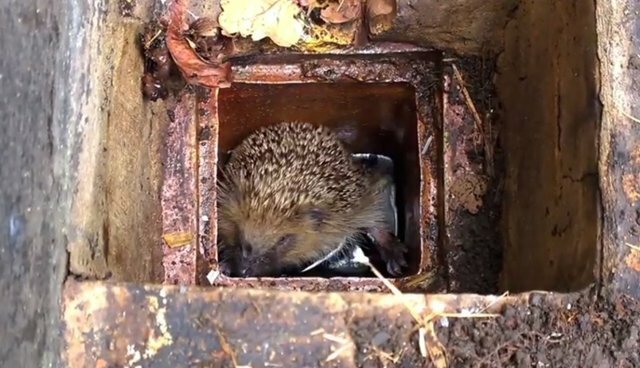 WAF founder Simon Cowell soon found that the hedgehog wasn't actually stuck too tightly, but she was having a difficult time attempting to crawl out of the pipe. Some handy forceps assisted in pulling the rather large hedgehog out of her hole. The hedgehog was a bit tired after her trying day, and was taken to WAF headquarters for observation. Once she arrived, the vets found that the animal had worms in her stool, so she received treatment at the facilities for the next two weeks. If you live in an area frequented by wild hedgehogs, it is important to hedgehog-proof any areas of your yard that the little critters might crawl into. Removing open cans, containers, etc. will make for fewer hedgehog-related incidents!